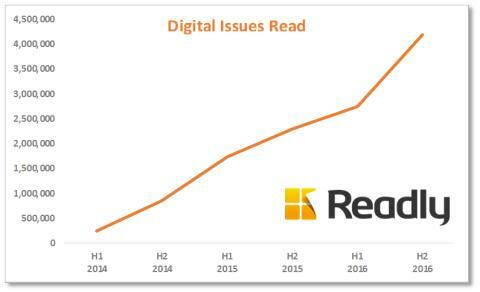 Readly, the digital magazine newsstand, has delivered a dramatic 84% year-on-year rate of growth for the second half of 2016, clearing over 4m issues read of UK-published magazine brands in the six-month period. Between July and December 2016, Readly subscribers opened 4,182,899 issues of UK magazine brands. This is 84% up on the 2.3 million figure seen in the July to December 2015 period. 40% of Readly subscribers use the app every day - a similar figure to Netflix, Twitter and LinkedIn. The average time spent with Readly is 22 minutes per reading session. Subscribers use the app to both “snack” in short bursts as well as for longer “me time” sessions. Readly is the UK’s leading digital newsstand and has pioneered the all-you-can-read subscription with a monthly fee of £7.99 which gives consumers access to a range of 800 UK magazine brands as well as a growing inventory of over 2,000 international titles. 1. Cutting the consumer price. Having launched in the Spring of 2014 at a monthly subscription rate of £9.99, Readly reduced the price in March 2016 to £7.99. The thinking was to move beyond the core market of magazine enthusiasts into the mainstream entertainment sector and to appeal to consumers who already have subscriptions to services such as Netflix, Spotify, Sky and Amazon Prime. 2. Increasing consumer promotion. With a mix of its own promotional activity, and some important partnerships, Readly has raised its consumer profile considerably over the last few months. A key partnership has been with Vodafone, where Vodafone customers are offered the Readly service and can pay the monthly subscription via their phone bill. 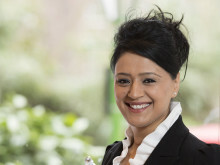 Then in June, Readly hit the TV screens with an ad campaign on Channel 4 which has been running for over six months. 3. Widening the magazine inventory. 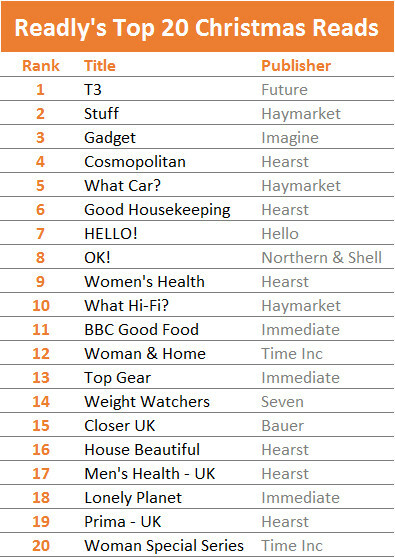 Readly’s list of the Top Twenty titles read over Christmas shows that the customer base has grown from its core of tech-savvy male “early adopters” into the consumer mainstream. 4. Enhancing the user experience of the service.This is in constant development, but recent examples include the ability for subscribers to interact dynamically with puzzles and crosswords, faster and more tailored recommended reads and in-app purchasing for Apple users. A number of the enhancements are built around stimulating the quick reading “snack”. Readly is a digital service which lets customers have unlimited, “all-you-can-read” access to hundreds of national and international magazines in one app for just £7.99 per month – both streamed and downloaded. Ultra-fast, easy-to-use and convenient – each subscriber can access the inventory on up to 5 devices across the major operating systems – the service has an increasing range of functions, including advanced zoom, bookmark, search and sharing tools. In addition to all the consumer benefits, Readly offers a powerful, risk-free route to market for publishers who can also track how their content is being consumed. The Readly operation was launched in Sweden in March 2013, but now has offices in the UK, USA and Germany and a rapidly growing user base in more than 50 countries, making it the world’s leading digital platform for reading magazines online. Readly UK started operation in the Spring of 2014 and now deals with 80 UK publishers, promoting 800 UK magazine brands, in addition to a growing inventory of over 2,000 international titles.